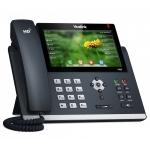 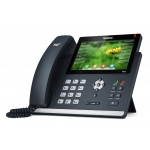 The T48S is an elegantly designed IP phone for executives and busy professionals. The large, 7” coloured touchscreen provides rich visual presentation and simple navigation through a wealth of productivity enhancing features. As well as support for corded and wireless headsets, the T48S also incorporates a USB port allowing Bluetooth headsets (via BT40 Bluetooth dongle), WiFi access (via WF40 WiFi dongle) and call recording. 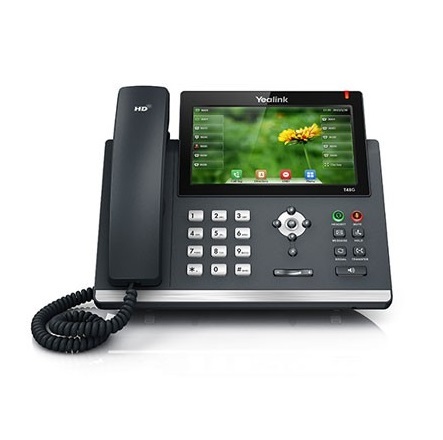 Auto provisioning and manual programming follow the same format as the rest of the Yealink range, making life simpler for installers and technicians. The T48S is certified compatible with 3CX, Asterisk and BroadSoft BroadWorks and many more IPPBX and hosted platforms, making it the ideal choice for busy managers.